Have you ever had an offensive odor in your home that you just could not find the source? Have you been able to determine it’s coming from the basement? From time to time we receive a call from a homeowner wanting us to send a Technician out to check into “a bad” odor in their home emanating from their basement. The customer tells our Customer Service Rep that they have checked to be sure the dog or cat has not left a surprise for them in the basement. A search of the basement has not come up with a dead critter of some sort either. The children didn’t have an issue and put soiled clothing in the basement laundry basket, and the husband didn’t drop his sweaty gym clothes or sports equipment in the basement. The customer has tried covering up the odor with one of those new sprays but to no avail. So we send a Technician out to the home to check out the situation and determine if there is a plumbing problem. When the Tech arrives, he will ask several questions of the homeowner to help him hone in on the source of the customer’s problem. Although the customer may have told the Customer Service Rep on the phone, the Tech will ask questions to be sure he fully understands the customer’s need and clarify any information he received from the office. As the Tech begins his investigation of the odor, he will check into all the plumbing in the basement. An unfinished basement is often much easier to check since walls, floors, and ceilings are exposed and the plumbing can be traced. The Tech will check the drain piping for leaks and possible cracks. 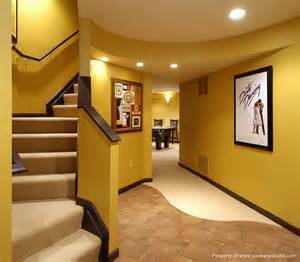 If there is a laundry area or a bathroom in the basement it will also be checked for cracked or leaking piping. The drain traps for each of these will be inspected to be sure there is water sealing each of the traps. 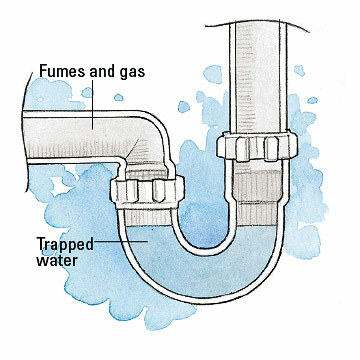 If the trap is dry, sewer gases can escape from the system and enter the home causing the noxious odor. Although the Technician is not a general contractor or mold inspector, he/she would look for signs of mold near plumbing fixtures and other common mold occurring areas of the basement. Some forms of mold can have noticeable smells which we find offensive and could be a health hazard. The Technician would also check to be sure drain cleanouts plugs are in place and sealing the system and he/she would check the floor drains to be sure they have a good water seal in them. Many of these possible causes will require the expertise of a plumber or specialty contractor to solve, but a simple solution is often to add 2-3 cups of water to the floor drains in the basement on a monthly basis. This should also be done if there are plumbing fixtures that are rarely used in the basement since the water seals in the traps for those may dry up allowing sewer gas to escape into the home. Occasionally we find a floor drain trap that has rusted through the piping and requires the floor drain to be replaced. If you have checked everything out without finding the source of the odor, give us a call. We can help.